I have made videos for some of my most recent Warhorse albums. This is a five volume covers project (plus two bonus volumes). For these I relied upon midi files found online. It’s a bit like colouring by numbers, in that others did the midi sequencing, while I assigned the virtual instrument sounds added effects and finally my vocals. The 22nd Warhorse album. This second of two bonus volumes features covers of songs from 1980-2007 by Asia (2), Duran Duran (11), Genesis (5), INXS (7,9), Rush (3,12), U2 (6,8), and Yes (1,4,10). The 21st Warhorse album. This first of two bonus volumes features covers of songs from 1967-1975 by Beatles (2), BeeGees (6), Emerson Lake & Palmer (4), Genesis (5), Monkees (1), Queen (7), and Yes (3). The 20th Warhorse album. This five volume features covers of songs from 1990-2005 by A-ha (14), BeeGees (7), Depeche Mode (1,6,13), Duran Duran (5,12), Enigma (2), IQ (9), Marillion (3), Rush (8), and U2 (4,10,11). 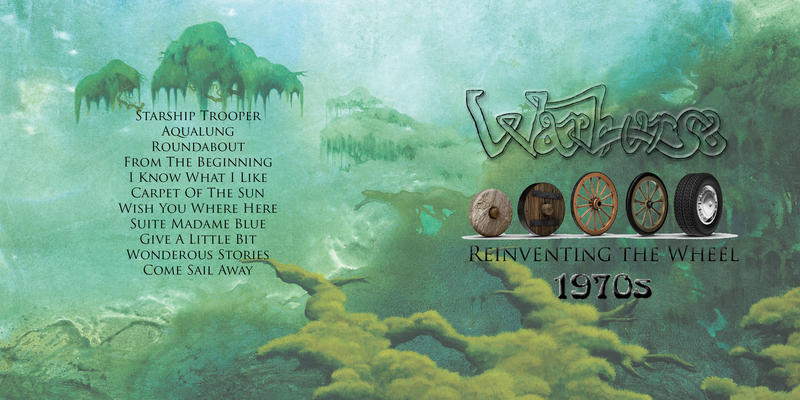 The 19th Warhorse album. This fourth volume features covers of songs from 1985-1990 by A-ha (2,6), Depeche Mode (11), Duran Duran (7,10), Genesis (5), Peter Gabriel (4), Information Society (9), Mike + The Mechanics (3), Pet Shop Boys (8), and Tears For Fears (1). 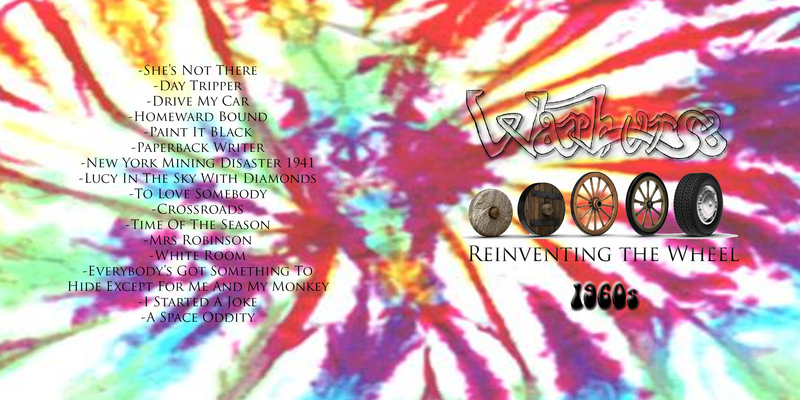 The 18th Warhorse album. This third volume features covers of songs from 1979-1984 by Asia (9), Blondie (4), Buggles (2), Depeche Mode (12), Duran Duran (6,11), Pink Floyd (3), Rush (7,13), Saga (8), Supertramp (1), Tears For Fears (10), and Yes (5). The 17th Warhorse album. This second volume features covers of songs from 1971-1977 by Emerson Lake & Palmer (4), Genesis (5), Jethro Tull (2), Pink Floyd (7), Renaissance (6), Styx (8,11), Supertramp (9), and Yes (1,3,10). The 16th Warhorse album. This first volume features covers of song from 1964-1969 by Beatles (2,3,6,8,14), BeeGees (7,9,15), David Bowie (16), Cream (10,13) Rolling Stones (5), Simon & Garfunkel (4,12), and Zombies (1,11). The 15th Warhorse album. A more introspective, slightly darker, and more mature sounding album than my previous works. The 14th Warhorse album. Whereas Year of the Dragon was my first proper foray into Cubase, on this project I was finally making good use of the program’s potential. 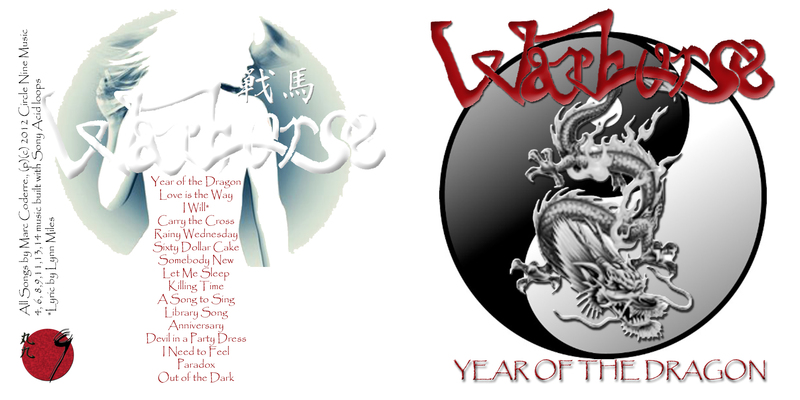 The 13th Warhorse album so named because it was made in 2012, year of the dragon. I wanted to get back to doing a more ‘authentic’ Warhorse album. 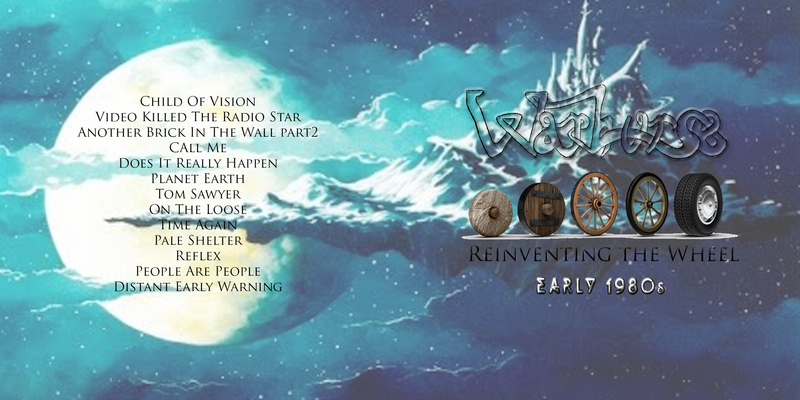 The 8th, 10th, and 11th Warhorse albums had effectively been demos of songs in contention to be included on Illumination, Inspiration, and Rise Again respectively. Then I did Acid, which was an instrumental album using Acid loops. I followed that with another demo album for Rise Again, this time made in Cubase, but didn’t file that as a Warhorse project. Year of the Dragon thus is the first proper Warhorse thing since the 9th one back in 2003/04. It was just me doing whatever sort of songs I felt like writing rather than having the pressure or constraint of seeing them as contenders for inclusion on one of my studio releases. As it turns out though, one of the songs (Anniversary) was promoted to also be on Rise Again. Whereas another song on Year of the Dragon was originally meant for Rise Again but was cut. Many of the songs on the project coincided with my taking a Song Writing course. A minority of the tracks relied on Sony Acid loops for the backing tracks. “Beautiful tribute Marc. Very poignant and moving. You must miss her a lot. The 12th Warhorse album is thus titled because it was made entirely using loops from the Sony Acid music library. It’s sort of like the musical equivalent of using clip art to design a fancy poster. You can be very creative in how you combine all the elements, but it is I confess a bit of a cheat since these are pre-fabricated mini-samples of music. But it was loads of fun to do. The video playlist includes a couple “bonus” songs not on the album: Electric Shock and Space Trippin’. These were two videos that I had to make music for as a class assignment. The 9th Warhorse album was recorded on the Yamaha MD8 digital eight-track recorder I had purchased in Japan a few years before. I only made four albums with this hardware, the three others, ‘Kyrie’, ‘Finale’ and ‘Forever’ recorded in 2003, 2007, and 2011 respectively were in effect demo albums for my real CDs. Circle Nine was the only ‘genuine’ Warhorse album of this era. The project saw the return of the Roland W30 and U220 equipment I had used from 1990-1992. And I also had a new drum machine, the Zoom 234. Circle Nine featured the original versions of Illumination and Unity that would appear on my first CD.